It's been a productive week and I'm happy I managed to sew anything with the crazy kids around! I switched out the arrangement of grey / white squares so the row would have more movement, which Nicky requested. I adore that little Cocoland cat! Your row looks awesome! Love the fabric choices for the clamshell. Your 'castle wall' blocks look great... love the colours! 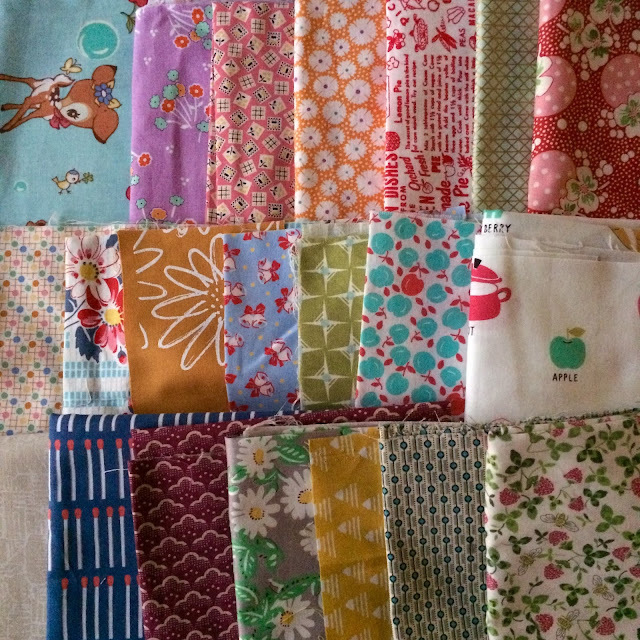 And your flowers are very cute, really like the way you fussy cut the AMH fabric! Good luck with the clamshells, keep us posted on progress! 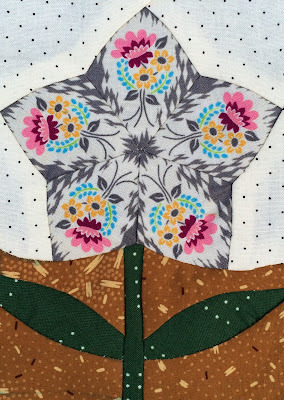 You want need any luck with the clamshells but if you want an incredible tutorial, Mary @ Molly Flanders has one on her blog! 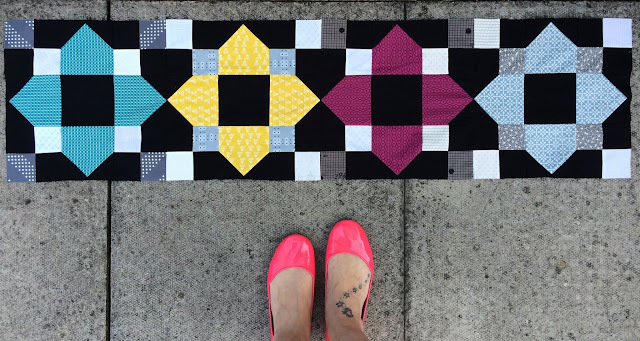 I'd never done them before when I was doing my "Small Town" quilt but really enjoyed the experience after following her method! I hope the crazy kids enjoyed the ice cream sundaes? No, you do not need luck, you are there! Beautiful projects. 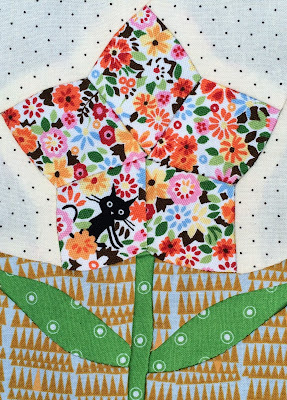 Your hand pieced flower blocks are so cute! 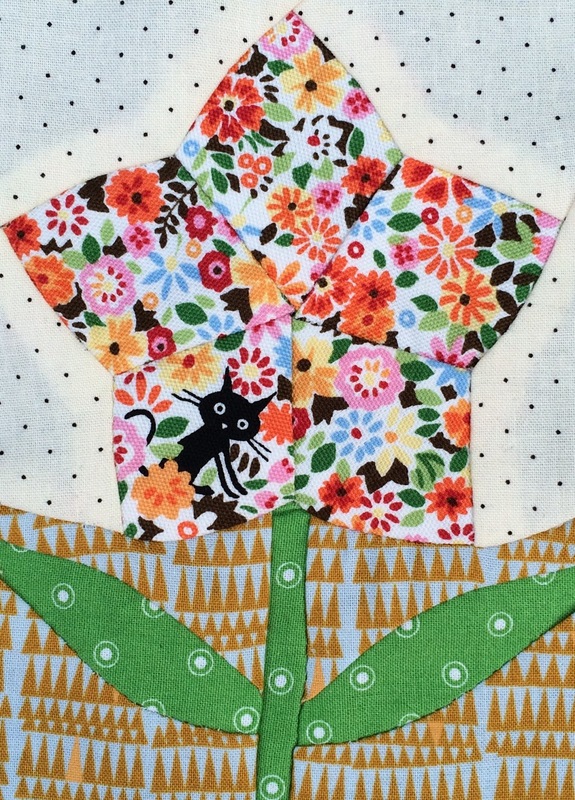 Lovely bee blocks and cute flowers too. I messed up the last row of my clam shells as I forgot that the tail bits still show! Love the row for Nicky!